It’s easy to think that Cloud technology is the answer to every business problem but real success comes from taking a holistic and hybrid approach with a proven support partner. 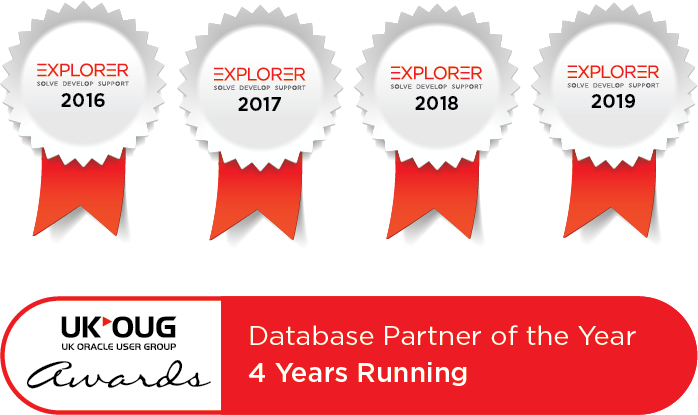 Explorer is well versed in designing Public, Private and Hybrid Cloud deployments to solve business problems for our customers and it’s only by combining on-premise modernisation with Public Cloud agility, and cost savings do customers really gain from the value of Cloud economics. We’ve built a business for over 20 years by putting the successes of our customers first, and nothing is going to change. We make the migration of existing Oracle systems to the Cloud stress-free and with no interruption to day-to-day operations. All projects begin with a full and detailed assessment of your Oracle setup and business objectives to align your goals with the correct Oracle Cloud Cloud solution. Our Cloud Services team has over 20 years of experience designing, implementing and supporting Oracle solutions across a wide range of industry sectors helping our clients reduce costs, become agiler and deliver on their business goals. Adopting the Oracle Cloud with a credible partner to help navigate pitfalls and complete the transition is imperative to be certain of success. Cloud technology is complicated to orchestrate efficiently and if you don’t get your own house in order first, implement effective metering services, consumption and chargeback models, resolve challenges of integrating multi-vendor technologies and develop an effective management framework to “encase” your Cloud in a structure you will not win. Ready to move to the Oracle Cloud? Our Cloud Workshop Programme is designed to introduce high-value, low-cost Cloud Services to customers to start defining an Enterprise Cloud Strategy. Cloud throws up a whole new world of Licensing metrics and consumption models for businesses to understand, budget for and mitigate compliance risk. Explorer can combine an Architecture Review with a Software Asset Management Review to present a transparent and risk-free commercial model to transition to with Cloud.